develop with will be unlike any other. NGWPR attempts to make the adoption process as simple as possible. 1) Is a GWP the breed for you? As a breed, Wires tend to be high-energy, high prey-drive dogs that need constant training, exercise and a job to do. Naturally, each dog is an individual and there are laid back, easy going GWPs that will fit into less active families. If you are new to the breed, please go to the Breed Information section of the website and learn about the breed. Despite their charming looks, GWPs are not for everyone. family members what type of dog will be a good fit. and may be more mannerly. 3) Do you have a preference for a male or a female? 4) Wires come in different colors and coat types. That fuzzy-faced Wire will probably need more grooming than a dog without so much beard, mustache and furnishings. Please take into consideration how you will groom a Wire that requires more coat care. 5) GWPs are designed to hunt, yet NGWPR will never guarantee a rescue Wire will hunt. We do try to place dogs that have previous hunting experience or have strong bird instinct with owners who enjoy hunting behind a Wire. However, our rescues must first be housedogs and companions, then weekend hunting partners. Once you have an idea of the type of Wire that will work best for you, then take time to look at the dogs on the website and read their specific information. When one interests you, you will see a link where you may send an e-mail to the foster with your questions and ask when you could call to speak about the dog. 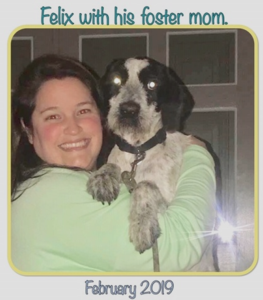 Our fosters are going to be honest and brutally frank about the dog they are caring for. They will also ask questions about your lifestyle, the dogs you currently have and the dogs you have had in the past. This gives them an idea of the type of expertise you have and your ability to manage a Wire rescue dog. 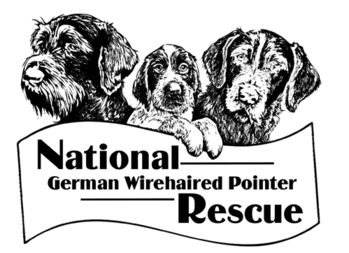 Remember we want to make the best match for you and for our GWP rescue. If you are having trouble getting hold of a foster, or we don't have a dog listed that fits your needs, feel free to fill out the adoption application and submit it. Please be sure to answer all of the questions, include your vet's name and phone number and include your personal references. We also request photos of your home, your yard and your other pets. 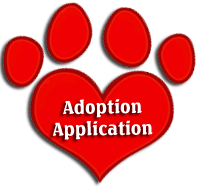 Adoption applications are processed as quickly as possible, and once a home visit is completed and you are approved we begin making arrangements for you to pick up your dog. **Please keep in mind that we are all volunteers and most of us have full time jobs that must come before rescue. Sometimes we are overwhelmed with requests for adoptions all at once and it takes time to go through them all and choose the best home for each dog. Or we may currently be overwhelmed with dogs in need and are working on arranging fosters and transports for dogs in danger.... please understand that saving lives is our first priority. If you haven't heard from someone, please feel free to try us again. We don't ever ignore you on purpose. When it is the only way to get your dog home, we do ship our rescue dogs via Continental Pet Safe. In those cases the adopter is responsible for all shipping fees. 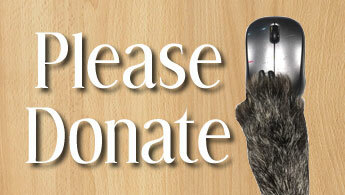 Adoption fees must be paid at the time of pick-up or paid by credit card via our website prior to pick-up. Once your dog is home, his/her foster will contact you periodically to see how you are getting along. If at any time you are experiencing difficulties with your new pal, we will attempt to arrange a GWPCA member-mentor who lives in your area to work with you and your rescue dog. Remember our goal is the same as yours; we want you to enjoy and love your new Wire family member.